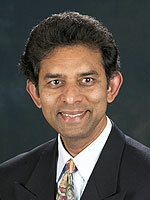 Jay Kandampully is a professor of Service Management in the Department of Human Sciences. He also serves as a visiting professor at the Management Center Innsbruck, Austria; Nanjing University of Science and Technology, China; University of International Business and Economics, Beijing, China; Furtwangen University, Germany; RWTH Aachen University, Germany; and University of Tartu, Estonia. Kandampully is the Editor in Chief of the Journal of Service Management (JOSM) and serves on the editorial advisory board of 10 refereed international journals. He serves as the CTF International Fellow at the University of Karlstad, Sweden and International Fellow at the University of Namur, Belgium. He holds a PhD in service quality management, and an MBA, specializing in services marketing, both from the University of Exeter, England. His professional qualification is in Hotel Management from Salzburg, Austria and from the University College Birmingham, UK. His educational qualifications have been well supported by nine years managerial experience in Europe, India and in the USA. Additionally, he speaks six languages. Kandampully was instrumental in developing service marketing/management programs at the University of Alaska in Fairbanks, Lincoln University in New Zeland and at the University of Queensland, Australia. Additionally, he has published more than 130 articles and has presented numerous papers at international conferences on issues relating to service management and marketing, service brands and service innovations. Chair: Service Education Research and Innovation Initiative. J. Kandampully and Solnet, D., (2018) Service Management Principles for Hospitality and Tourism, Kendall Hunt Publishing Company, USA (Third Edition). J. Kandampully and Solnet, D., (2015) Service Management Principles for Hospitality and Tourism, Kendall Hunt Publishing Company, USA (Second Edition). J. Kandampully (2014) Customer Experience Management: Enhancing Experience and Value through Service Management. (ed), Kendall Hunt Publishing Company, USA. J. Kandampully (2013) Service Management in Health and Wellness Services. (ed), Kendall Hunt Publishing Company, USA. J.Kandampully (2011) Service Management: The new paradigm in retailing. (ed) Springer, USA. This book has been commissioned for translation and publication in Chinese. J.Kandampully (2006) Services Management: The new paradigm in hospitality. (Second Edition) Prentice Hall, USA. J.Kandampully (2002) Services Management: The new paradigm in hospitality. (First Edition) Pearson Education Australia. J.Kandampully, C.Mok and B. Sparks (2001) Service Quality Management in Hospitality, Tourism and Leisure, (Eds) Haworth Press, USA. Published in Chinese, Korean and Arabic. Choi, H., and Kandampully, J. (2019). The Effect of Atmosphere on Upscale Hotels' Customer Engagement: An Application of S-O-R Paradigm. International Journal of Hospitality Management, Vol. 78. (Forthcoming). Zhang, T., Bilgihan, A., Kandampully, J., and Lu, C. (2018) “Building Stronger Hospitality Brands Through Online Communities”, Journal of Hospitality and Tourism Technology, Vol.9, (2), 158-171. Kandampully, J., Zhang, T., and Jaakkola, E. (2018) “Customer Experience Management in Hospitality: A Literature Synthesis, New Understanding, and Research Agenda" International Journal of Contemporary Hospitality Management, Vol. 30, (1) 21-56. Benoit, S., Zelal, A., Nasr, L., and Scherschel, K. Kandampully, J. (2017) “Showcasing The Diversity of Service Research: Theories, Methods, and Success of Service Articles”, Journal of Service Management, Vol. 28 (5), 810-836. Soares, R.R., Zhang, T., Kandampully, J., and Proenca, J.F (2017) “Why Are Generation Y Consumers the Most Likely to Complain and Repurchase?, Journal of Service Management,Vol.28. (3), 520-540. Benoit, S., Baker, T.L., Bolton, R. B., Gruber, T., and Kandampully, J (2017) “A Triadic Framework for Collaborative Consumption (CC): Motives, Activities and Resources and Capabilities of Actors”, Journal of Business Research, Vol. 79, 219-227. Chuah, H, W., Marimuthu, M., Kandampully, J., and Bilgihan, A. (2017) “What Drives Gen Y Loyalty? Understanding the Mediated Moderating roles of Switching Costs and Alternative Attractiveness in the Value-Satisfaction-Loyalty Chain” Journal of Retailing and Consumer Sciences, Vol. 36 124-136. Choi, H., Kandampully, J. and Stafford, K. (2016) “The Impact of Servicescape, Emotion and Trust to a Positive Customer Service Experience: Wellness Spa Context in the USA, International Journal of Service Management and Sustainability, Vol.1 (1), 1-15. Lu,C and Kandampully, J. (2016) “What Drives Customers to use Access-Based Sharing Options in the Hospitality Industry?, Research in Hospitality Management Journal, Vol. 6 (2), 119-125. Kandampully, J., Bilgihan, A. and Zhang, T. (2016) “Developing a People-Technology Hybrids Model to Unleash Innovation and Creativity: The New Hospitality Frontier, Journal of Hospitality and Tourism Management , Vol. 29, 154-164. Jang, J and Kandampully, J. (2017) “Reducing Employee Turnover Intention through Servant Leadership in the Restaurant Context: A Mediation Study of Affective Organizational Commitment”. International Journal of Hospitality & Tourism Administration, . Bilgihan, A., Kandampully, J. and Zhang, T. (2016) “Towards a Unified Customer Experience in Online Shopping Environments: Antecedents and Outcomes”. International Journal of Quality and Service Sciences,8 (1),102-119. Park, H., Seo, S., and Kandampully, J. (2015) “Why Post on Social Networking Sites (SNS)? Examining motives for Visiting and Sharing Pilgrimage Experiences on SNS”. Journal of Vacation Marketing, 22 (1), 1-13. Choi, H.Y., Jang, J. and Kandampully, J. (2015) “Application of the extended VBN theory to understand consumers' decisions about green hotels”. International Journal of Hospitality Management, (51) 87-95. Hammedi, W., Kandampully, J., Zhang, T. and Bouquiaux, L. (2015) “Online Customer Engagement: Creating Social Environments through Brand Community Constellations”. Journal of Service Management, 26 (5) 777-806. Hwang, J. and Kandampully, J. (2015) “Embracing CSR in pro-social relationship marketing program: Understanding driving forces of positive consumer responses”. Journal of Services Marketing, 29 (5) 344-353. Kandampully, J., Zhang, T. and Bilgihan, A., (2015) “Customer Loyalty: A Review and Future Directions with a Special Focus on the HospitalityIndustry”. International Journal of Contemporary Hospitality Management, Volume 27 (3) 379-414. Reynoso, J., Kandampully, J., Xiucheng, F. and Paulose, H. (2015) “Learning from Socially Driven Service Innovation in Emerging Economies”. Journal of Service Management, Volume 26 (1). 156-176. Peng, C., Bilgihan, A. and Kandampully, J. (2015) “How to Make Decisions Among Casual Dining Restaurants”. International Journal of Hospitality and Tourism Administration,16 (1). 1-15. Kandampully, J., Keating, B., Kim, B.C., Mattila, A and Solnet, D. (2014) “Service Research in the Hospitality Literature: Insights from a systematic review (1998-2012)”. Cornell Hospitality Quarterly, 55 (3) August, 287 - 299. Bilgihan, A., Peng, C., and Kandampully, J. (2014) “Generation Y¹s Dining Information Seeking and Sharing Behavior on Social Networking Sites: An Exploratory Study". International Journal of Contemporary Hospitality Management, 26 (3) 349-366. Park, S.H and Kandampully, J. (2014) “The Antecedents and Consequences of Hospitality Brand Image: Based on Keller’s Customer-Based Brand Equity”. Alliance Journal of Business Research, Vol. 7 (2). Zhang, T., Kandampully, J. and Choi, H.Y (2014) “The Role of Employee Wellness Program in the Hospitality Industry: A Review of Concepts, Research, and Practice”. Research in Hospitality Management, 4 (1-2) 45-54.